April is National Donate Life Month. It’s a chance to put the spotlight on the issue of organ, eye and tissue donation in this country. First, let’s take a look at some statistics. According to Donate Life America, more than 118,000 men, women and children are awaiting lifesaving organ transplants. Every ten minutes, another person is added to the national transplant waiting list. 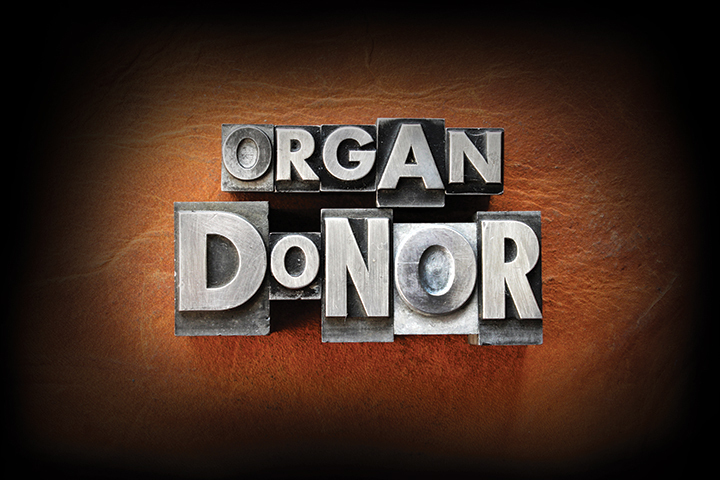 Every year in the US, 8,000 deaths occur because organs are not donated in time. The heart, lungs, kidneys and liver are the organs that most quickly come to mind when we think about donation and transplants. Right now, more than 4,000 people in the US are waiting for a new heart, 1,400 are waiting for new lungs and 14,000 are waiting for a liver. Kidneys are most in demand. Those waiting for new kidneys account for 82 percent of people awaiting new organs. That equates to more than 100,000 people. Hearts and lungs must come from deceased donors, but healthy living people can donate kidneys and sections of their livers. These are called living donors, and their bodies will compensate for the loss of one kidney or section of liver. Living donations help make more organs available to more people in need of transplants. There are additional organs and tissues that can be used to save lives and heal hurting bodies. For example, people with serious complications from Type 1 diabetes might be treated with a pancreas transplant. These are often done along with kidney transplants. Almost all donated pancreases come from deceased donors, but it is possible to donate part of a pancreas. For every cornea (the transparent layer in the front of the eye) donated, two people can have their sight restored. Since 1961, more than 1.5 million men, women and children worldwide have had their sight restored thanks to corneal transplants. Many people don’t realize – I know I didn’t – that intestines can be transplanted in people who suffer intestinal failure. When intestinal failure occurs, the sufferer’s own intestines stop absorbing the nutrients, fluids and electrolytes needed for the body to function properly. Most intestinal transplants are done in conjunction with liver transplants, and the intestines come from deceased donors. Living donors, however, can donate a segment of intestine for transplant, but this type of transplant is less commonly performed. Something else we might not think of are the various body tissues that can be transplanted. Donate Life America notes that every tissue donor can restore the health and heal the lives of more than 75 people. Tissues that can be donated include heart valves, tendons, veins, skin and bone. Transplanted tissue comes from deceased donors. There’s no question organ, eye and tissue donation benefits many people. In 2016, 33,600 transplants gave new life to patients and their families. Living donors and families of deceased donors also gather great satisfaction and solace in having helped others through their donation. Something doesn’t jibe, though. About 95 percent of Americans are in favor of being an organ donor, but only 54 percent are actual registered donors. Let’s increase that percentage during National Donate Life Month. Don’t just think about becoming an organ donor, register!